An antique line engraving which was engraved by Thomas Cook and designed by William Hogarth. Published by C. & J. Robinson, Pater Noster Row, April 1st, 1802. 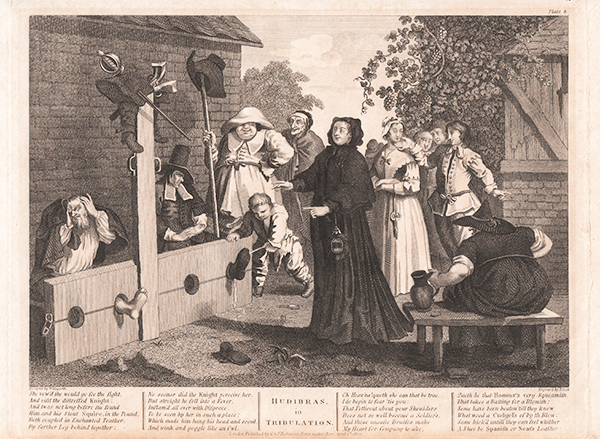 This is Plate 6 of "Hogarth Restored. The Whole Works of the celebrated William Hogarth". An antique line engraving by W. Radclyffe after William Hogarth. Circa 1833. One of a set of four subjects under the title 'Times of the Day'. Sold as a set of four for £100.00.